Zee Media, an Essel Group Entity and News network, is embarking on a talent hunt journey aiming to recruit future journalists and reporters pan India. 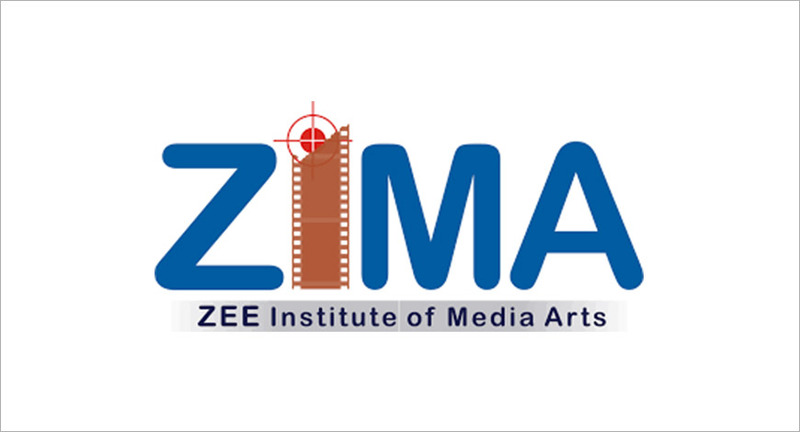 The training period will be for a total of nine months starting from April/May 2019; and shall be delivered by Zee Institute of Media Arts (ZIMA), for which students shall have to pay INR 1.5 lakhs plus GST as fees. The training includes three months of paid internship in Zee Media with a stipend of INR 10,000 per month. The first step of the selection process i.e. 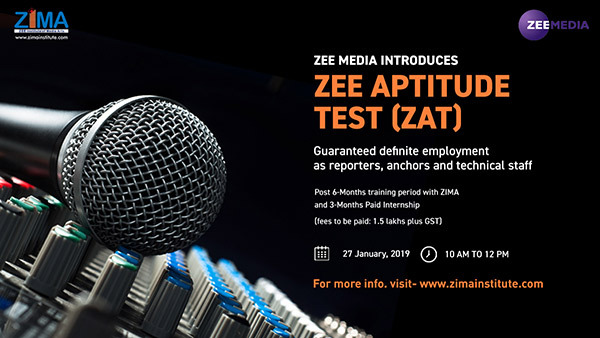 the Zee Aptitude Test is scheduled for January 27, 2019 from 10 am to 12 pm. The test will feature a combination of General Knowledge MCQs and subjective essay-based questions. This all-India written test will be conducted in several cities across India including Agartala, Ahmedabad, Aizawal, Amritsar, Hyderabad, Bhatinda, Bhopal, Chandigarh, Chennai, Gangtok, Guwahati, Gwalior, Haridwar, Hisar, Imphal, Indore, Itanagar, Kanpur, Kohima, Kottayam, Lucknow, Ludhiana, Meerut, Mumbai, Nashik, New Delhi, Noida, Panjim, Patiala, Prayagraj, Pune, Shillong, Srinagar, Varanasi, Vishakatapatnam. To be eligible for the entrance test, the student must hold a Bachelor’s Degree or equivalent and must have secured a minimum of 50 per cent marks or equivalent CGPA. Students who are appearing for the final year of their bachelor’s degree and those who have completed their graduation degree requirements and are awaiting results are also eligible to apply. Registrations for the entrance test will be INR 1,000 per student which can be paid online through after filling the registration form in the link here: www.zimainstitute.com/zat-registration.aspx.